It was a great time to bug out of Illinois as the wind chill dipped to minus 60. Hurricane Michael struck the Florida Panhandle on October 10, 2018 as a high category 4, with wind speeds of 155 mph, causing massive destruction along the panhandle coast, near Panama City. Damage was nearly as great 50 miles inland, near Marianna, Florida. Massive trees snapped like twigs or were uprooted from the Florida Panhandle coast to Marianna, Florida and beyond. 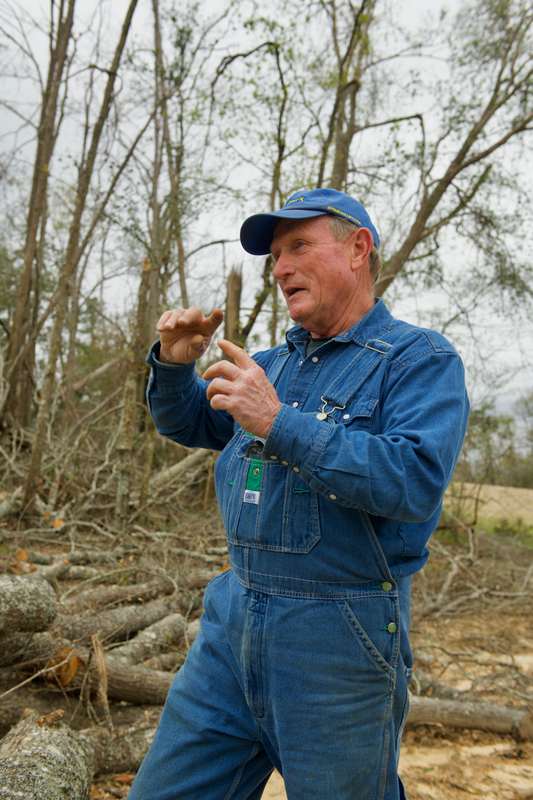 The Fellowship of Christian Farmers has been busy organizing disaster relief trips since October, and this report is from one such trip at the end of January. FCFI Area Leader Mike Weaver and long time farm show volunteer Mike Brehm led the way, and worked on a crew organized by FCFI, which provided a crew of young, strong men and women. This group was very handy with a chainsaw, and moved effortlessly through the thick entanglements of fallen trees, brush, and vines. 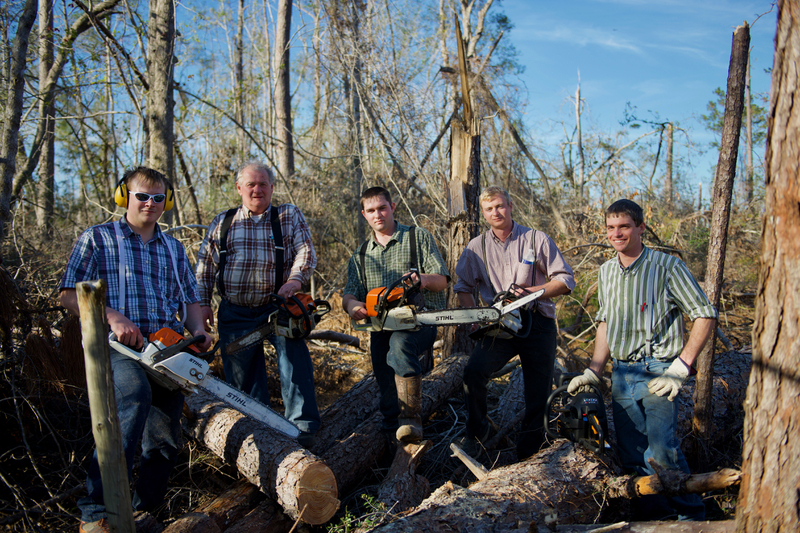 A total of over 80 man-hours of work was accomplished in two days of very hard work on Kent and Virginia Beard’s family farm, just outside of Marianna, Florida. The pastureland covers 960 acres, with 125 head of cattle, plus calves. Much of the land is open pasture, but there is significant forested areas for shade. Miles of fenceline run through the woods, and most of that fence has trees laying on top of it. 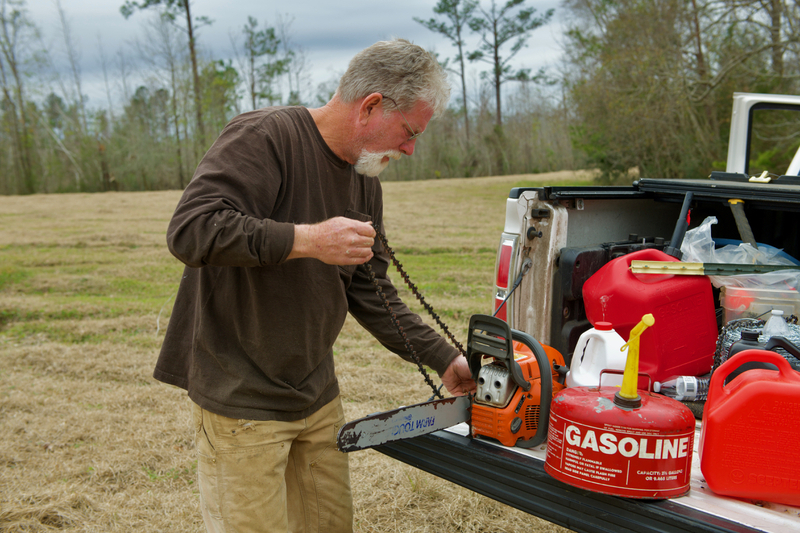 The crew’s job is to clear that fenceline of trees and brush, and reattach or replace barbed wire. 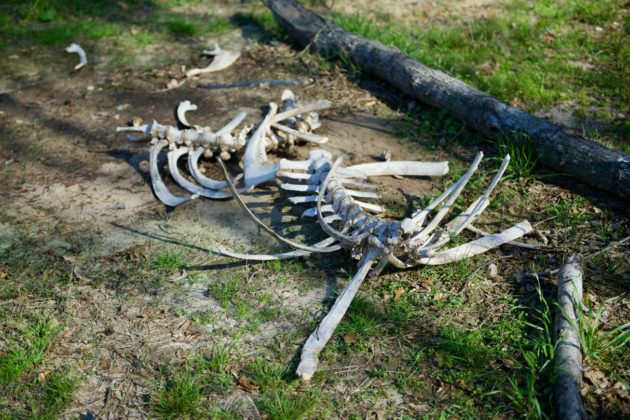 Remains of a cow killed by a falling limb during Hurricane Michael. The carcass was picked clean by coyotes. The weather was cloudy and quite cool for Florida, but at least it was not Midwestern below zero. The temperature was quite comfortable for physical work. 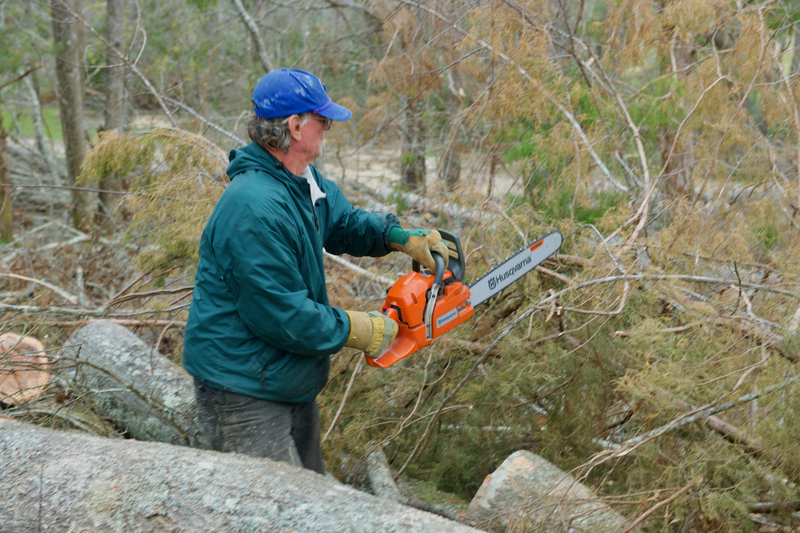 Kent Beard, whos wife’s family ownes the land, was out there cutting trees right along with the FCFI crew on day 2. My job of photographing and shooting video and flying a drone was easy by comparison! A critical area was the fenceline along Interstate 10, which the farm borders. Keeping cattle off of the interstate is high priority. It is not known how many cattle have been lost, as many areas still need to be cleared. It is estimated that the work may continue for up to 2 years. 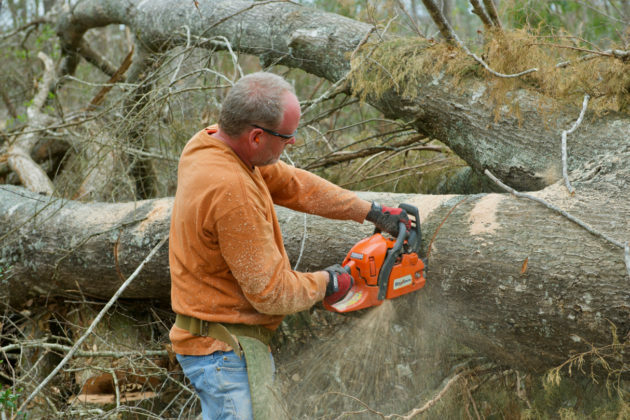 So if you are skilled with a chainsaw and barbed wire, please prayerfully consider making a trip to the Florida Panhandle and contributing your time and talents to helping these farmers recover from the most devastating hurricane in a decade. 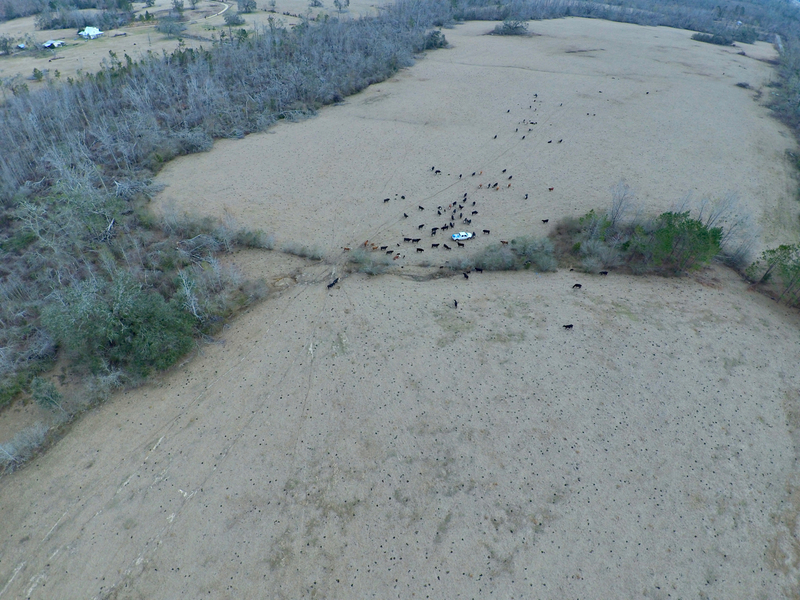 Drone photo of a portion of the pasture. You can see that there is a lot of timber area, which provides shade for the cattle. 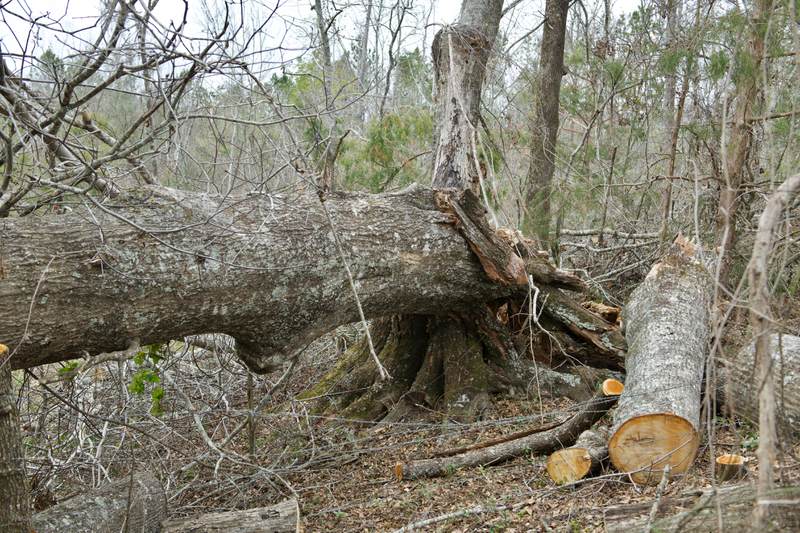 Any tree with a trunk over 10 inches thick most likely split or was uprooted. The Fellowship of Christian Farmers, International, P.O. Box 15, Lexington, IL 61753. Praise the Lord and thank you for your support!